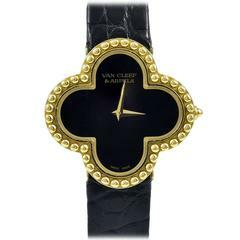 Van Cleef & Arpels Quartz Yellow Gold Watch Ref. 122664 - Quartz. 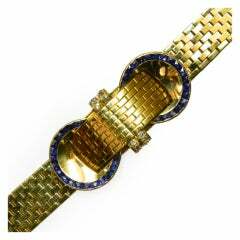 18K Yellow gold case ( 20 mm ). White dial with Roman and stick hour markers. 18K Yellow gold double deployant. Will fit up to a 6 1/2 inch wrist. Pre-owned with Van Cleef & Arpels box. 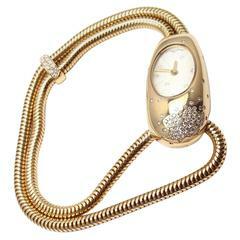 Vintage ladies watch, finely crafted in 18k yellow gold, with white dial. Signed and numbered by Van Cleef & Arpels. Circa 1980's.